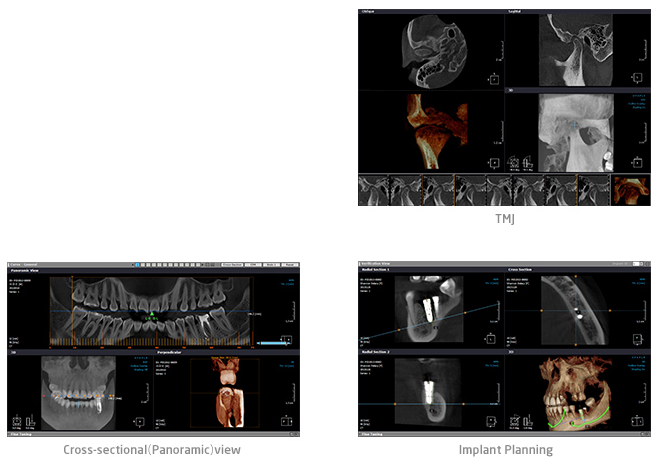 SmartDent supports management and diagnosis of the CT/Panorama/Cephalo/Intraoral Sensor/Intraoral Camera images. 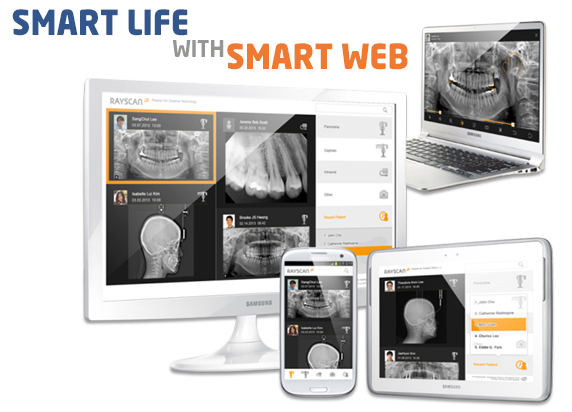 Use SMARTDent anywhere in the clinic and Intraoral Camera image acquisition. DICOM 3.0 is supported for 16bit high resolution image diagnosis. 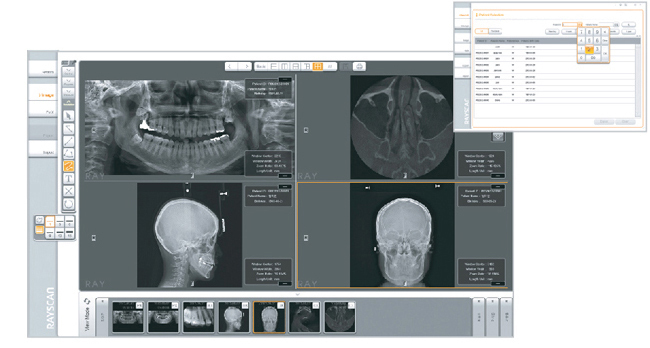 Various Multi-view functions allow even more convenient diagnosis and efficient consultation. Periodical and patient search by Modality functions are supported to enable simpler search of the desired patient. Utilize the image search function by Modality to locate the desired image even faster. One Click leads to the location of the desired results, thus eliminating the unnecessary entry steps and providing the easiest and quickest user experince. Modern and sophisticated graphics enhance both doctor and patient satisfaction. Touch enviorment design allows use with both Slate PC and Tablet PC (MS supported operating system). Image based implant library is used for easy addition of implants of various manufacturers. The implant color changing function allows you more efficient consultation.Minimized preparation time and enhanced user convenience. Convenient use in PC, Tablet and Smart Phone. Compatible with all operating system (Over Android 4.1, ios 6.0). Optimal Viewing experience by Responsive Web Design. Local Network only (Internet access is not supported). Panoramic images and Cross-sectional images provided. MPR, MP, X-ray, VR and shading image provided. Nerve canal drawing function provided. DISCOM printer and CD/DVD burning function provided.